New research shows that access to the High Street for disabled people remains "slow", according to a new survey by DisabledGo. The most recent investigation from the not-for-profit disability organisation reveals almost a quarter of all fashion retailers have no step-free access, with only 10% offering hearing loops to help deaf shoppers. When compared to a wider survey carried out in 2014, the results show a similar or in places poorer performance than before. It's been two years since DisabledGo shocked the government with evidence that highlighted the inaccessibility of the British High Street for disabled people. In 2014, the accessibility information providers visited over 25,000 shops and restaurants in person. It was one of the largest assessments of its kind in the UK. With the hugely controversial cuts to the disability benefit Personal Independence Payments (PIPs) being scrapped, where does this leave disabled people now? Relieved, I'd say, but fearful that this relief will be short-lived. Behind the frantic number-crunching and political fallout from Wednesday's Budget lies a large group of disabled people who will be affected by the latest benefit reform. The Personal Independence Payment (PIP) has gone through several changes since it was first introduced in April 2013. It is slowly replacing Disability Living Allowance (DLA). Nearly 700,000 people currently claim PIP, with another 1.5 million still to be reassessed. 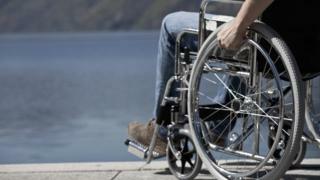 Read full article Who will disability 'cuts' impact? A one-off gig has taken place to highlight the difficulties many disabled people have trying to get to watch their favourite bands. The accessible concert at Glasgow's O2 Academy was a sell out, and it's hoped it will draw attention to just how much more needs to be done. There has been a marked increase in waiting times for disabled people looking for accessible local authority housing. 20 years on, what did disabled protests achieve? Twenty years ago huge protests were held across the UK, calling for the rights of disabled people to be protected and promoted. This led to what is now seen as a landmark law, the Disability Discrimination Act. But two decades on, campaigners say full equality is still a long way off. Read full article 20 years on, what did disabled protests achieve? Accessibility in Rio, the inquest of Connor Sparrowhawk and prosthetics services in the NHS. 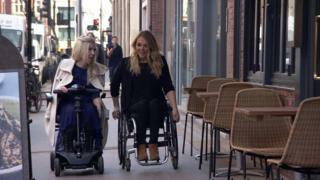 The BBC's Disability News Correspondent Nikki Fox looks back at the past month's round-up of disability news. What's life like in Rio de Janeiro with a disability? It's less than a year until the Paralympic Games begin in Rio. I went to investigate what life is like for the disabled people of the city. "It's the best place in the world for me. You learn to love this city very easily, it's wonderful." 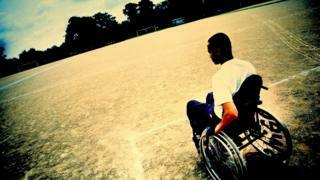 Read full article What's life like in Rio de Janeiro with a disability? It is less than a year before the beginning of the 2016 Paralympics in Brazil and preparations are well under way for the start of the games. I recently went behind the scenes to see how Rio was getting ready to host one of the biggest celebrations of disabled sport in the world. The pharmaceutical industry wants a temporary ban to prevent shortages in the event of a no-deal Brexit. Nikki Fox started her media career answering telephones for BBC Radio Cambridgeshire. She then worked as a researcher on How to Look Good Naked, later becoming a reporter for the show. In 2012 Nikki won a Sony award for her documentary, Beyond Disability: The Adventures of a Blue Badger. Her other radio documentaries include Disabled and Desperate to Work for BBC Radio 5 live and Disabled and Behind Bars for BBC Radio 4. She has also produced and reported on disability-related subjects for The One Show and Rip Off Britain. Nikki is a music graduate, has muscular dystrophy, and uses a mobility scooter to get around.